"Your Pictures will look Incredible on Metal. 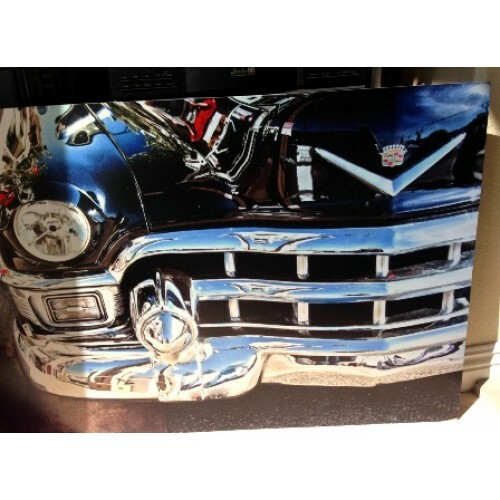 You have Never Seen an Image that has the Depth, detail and Color Brilliance that a Metal Art Print can Provide!" Now you can take a great Digital Picture email it to us and select the Size and Finish you want and we'll ship it to your door in about 7 Working Days, Mounted Ready to Hang on your Wall! 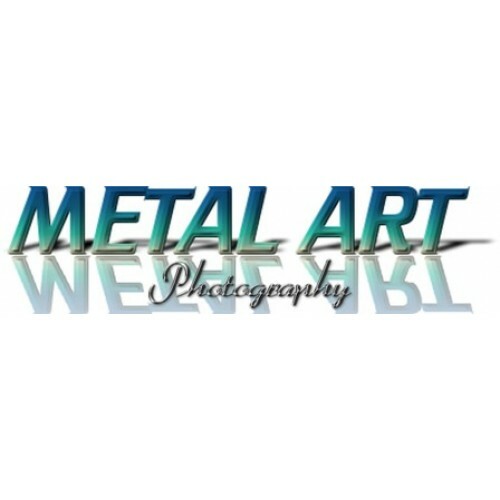 No matter if you have personal photos, commercial photos, photographed artwork, scanned artwork or you just want interior/exterior signage for your business, your images will be enhanced by our metal printing process. Our process provides a depth and detail to your high resolution images that makes them look three dimensional. 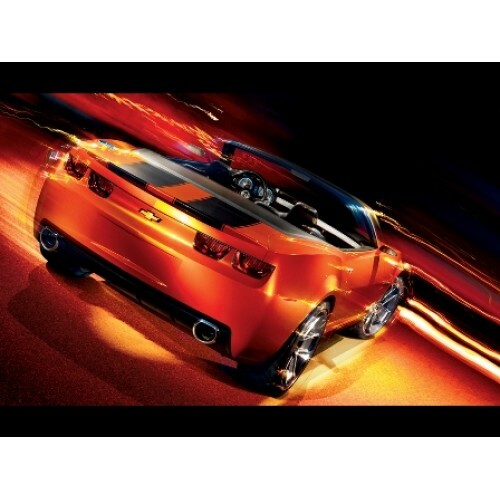 The translucent dyes and reflective quality of the aluminum lights up your images with color that POPS off the Metal. 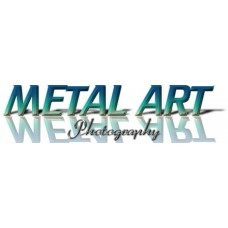 Metal Art Photography Metal Prints offer durability and archival quality that is unmatched. 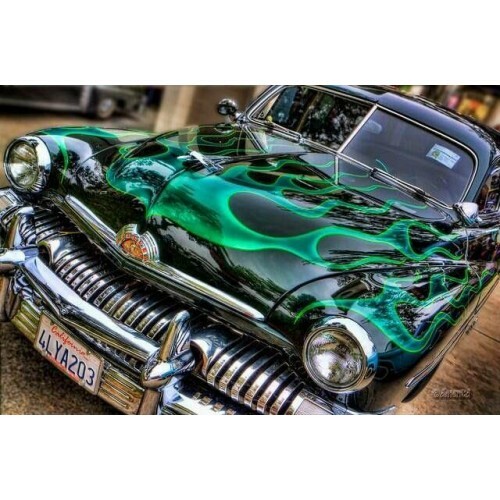 Our prints are waterproof, weatherproof and have UV protected coating. This means you can hang our prints in areas where moisture and heat are present. The prints contain a very hard surface and are lightweight for easy hanging. You can clean the prints as often as you like with rubbing alcohol or glass cleaner. You will get Larger Pictures and Better Quality Images with a Digital Camera as your Cell Phone will only take Pictures to a Maximum Size of around 5 x 7". So, it's better to use a Digital Camera for the Larger image sizes. You'll select your size and Finish of the Metal from our website and be able to email us the picture(s) you want made in the sizes you choose. Several Background Finishes Available but they don't photograph as well as they do in Person. But we Suggest the White "Gloss" Metal for the "Brightest" and "Boldest" Affect, but if you want a Metallic finish go with the Silver "Gloss". 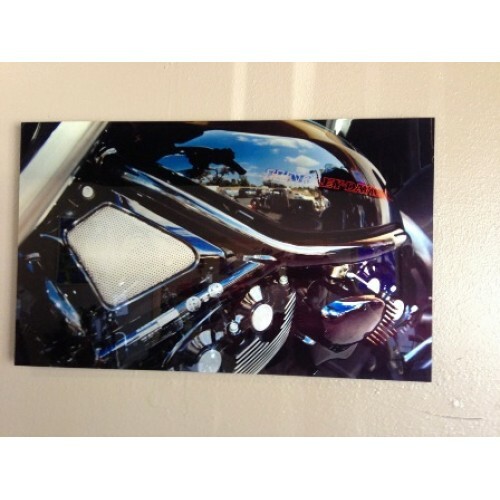 We also offer a "Matte" Finish which gives the picture a completely different Affect! A White base finish which will ensure true whites, deep blacks and an incredible depth of color to your print. This is our most popular finish. 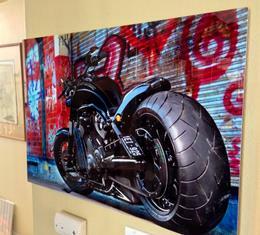 The High Gloss White finish looks great with any type of image especially artwork and photographs with a lot of color. A White base finish that offers a softer, smoother finish compared to the high gloss finish. This finish has less sheen and looks great with portrait photography, wedding photography and photographs with a lot of color and vibrance. A Silver base metal. This finish allows metal grain to show through the gloss coating. This finish provides a metallic look with a very luminescent finish. This finish intensifies the color as the light reflects off the aluminum. This finish is best used on Black and White images, or very artistic photographs. We do not recommend using this finish for portraits. A Silver base metal. This finish allows for the silver metal grain to show through the matte coating. This finish provides a metallic look that is less sheen. A Silver Matte finish is also best used on Black and White images, or very artistic photographs. We do not recommend using this finish for portraits. A Floating hanger is a cost effective way to hang your print. The print floats off of the wall approximately ½”. 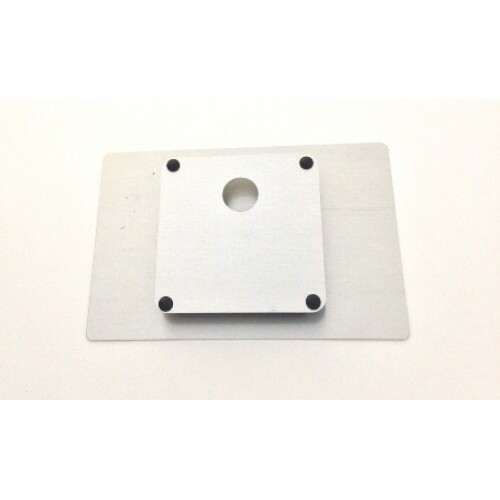 We offer both rounded and square corners. If you are presenting your metal print where people may contact them or where people are located underneath the prints, we suggest the corners be rounded and that's what your image will be printed on unless you request Square Corners. You can see the 3D affect in this picture! It's Really More Dramatic in Person! OK, your not quite sure what you want, so here's the best idea! 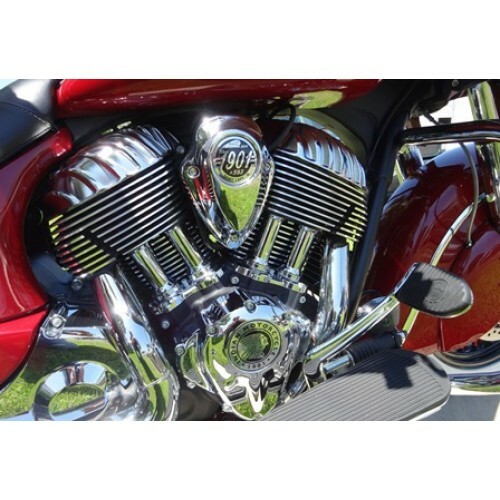 Just send us a jpeg off your Smart Phone of an image, say your Bike, Car, Dog etc. 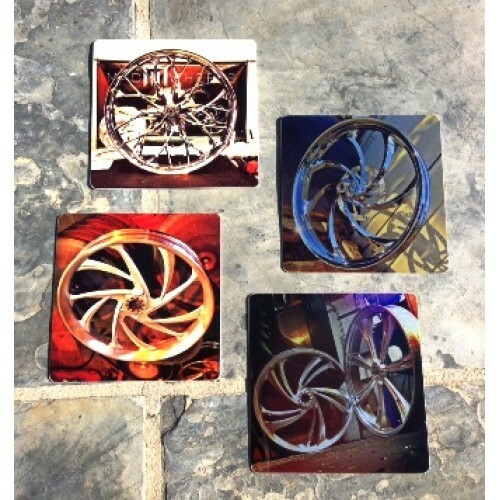 We'll make Coasters that are 4" x 4" of the Image in All 4 Finishes, so when you get them you can see the difference! The Larger Images 24 x 36 will have to have a Metal Frame on the Back for Support and Strength. Or you can have it Custom Framed at Any Gallery! 1. Price list does not include tax. 2. Price list does not include shipping and handling costs. 3. Prices are valid with Square or Rounded Corners. 4. Prices are valid with each of the Four Metal Finishes. 5. 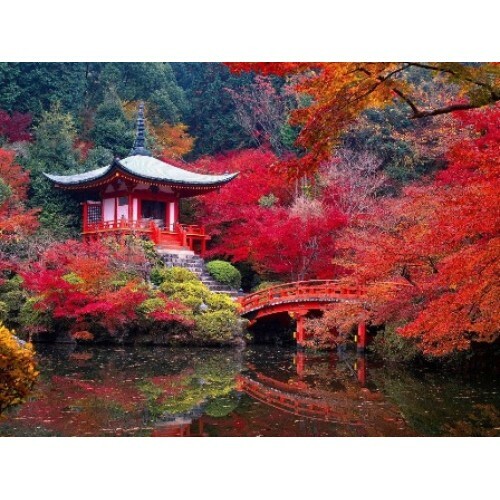 Framed print prices valid for metal or wood flush mount frames. Smaller sizes Over 8 x 10" come with the Metal Floating Hangars. Larger sizes 30 x 40" are supplied with 3/4" Black Gator Board backing and includes steel reinforced holes for hanging. 1. 300 dpi or higher resolution. This will provide the best print quality. 200-300 dpi is acceptable, but may not provide the highest print quality. 2. Artists/Photographers signatures or critical parts of the image should be at least ¼” from the print edge. TIF files are recommended. We also accept JPEG, PSD or EPS files. Files that are not compressed produce the best prints. Please upload files based on the largest size print you expect to order. Recommended Color Space is Adobe RGB or sRGB. NOTE: If you don't know you can email us your image and we'll tell you the Maximum Size it can be made Without Distortion! Just remember Pictures off your Smart Phone will be smaller than 10" x 12", a Digital Photo from your Camera for the Best Details and Larger Sizes are Best! We utilize UPS, Fed Ex and USPS for shipments. 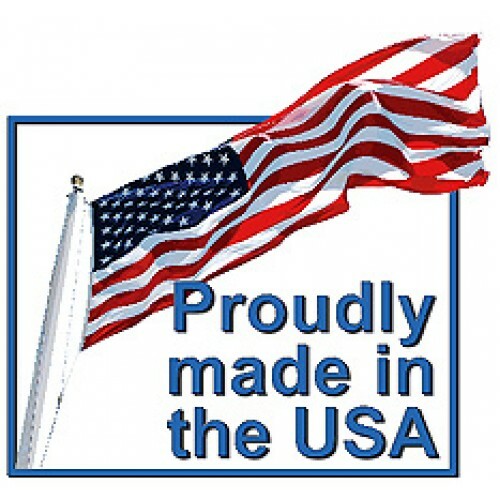 Unless otherwise specified we will ship the most cost effective possible. So when you Order we'll find out the size of your Print, and then email you the shipping Costs with a Link to Pay. FREE Shipping on Sizes Over 12" x 24" to US Addresses for a Limited Time! Estimated Shipping Costs per picture. 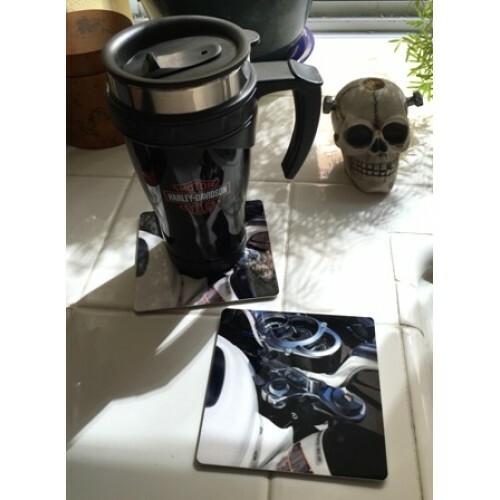 4 Coasters $7.00 Flat Rate up to 4 sets! For any print longer than 48'' we build a custom box & will Email the Cost. How is my Photograph Printed on Metal? When you send us your photo we will print a transfer paper with special hybrid dyes that are then infused into a patented coating using both pressure and heat. Are the Metal Prints Waterproof? 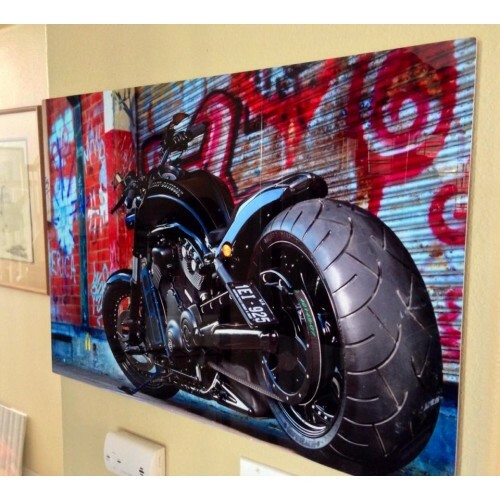 Metal prints are waterproof making them the ideal choice for moist environments like kitchens, bathrooms, and retail environments. How do you Hang a Sheet of Metal? Is it Heavy? You have many hanging options available due to the rigidity of the metal. In reality, the prints are incredibly lightweight! How Long will it take to Receive my Print Once I Order? Your order will take 7-10 business days under normal circumstances. Depending on your location shipping time will vary. How can I send you my File Image? Is the Metal Perfectly Flat or is their a Texture Coating? The metal sheets are not textured. They are a primarily flat. Although because of the nature of metal, there may be slight imperfections in the surface. This should not effect the overall quality of your print , and we take great care to place any slight imperfections in an unobtrusive place in your photo. What Work-space do you use to Process your Photos? We use Adobe RGB 1998. So, just select your size you want, put it in the Cart. 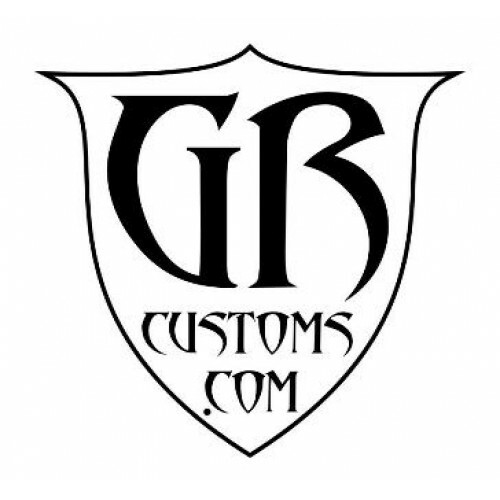 Purchase and email us your Jpeg or Digital Image to Sales@GRcustoms.com and we'll Confirm it with an Email and let you know if the image will fit the size your requesting. WE will email you the shipping costs once we receive your order.